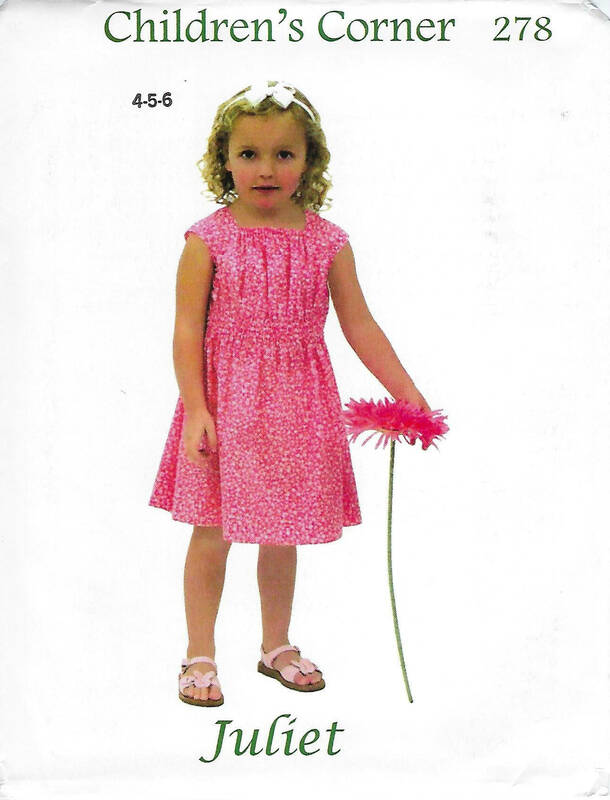 JULIET is a girl's dress with a square neckline that slips over the head. 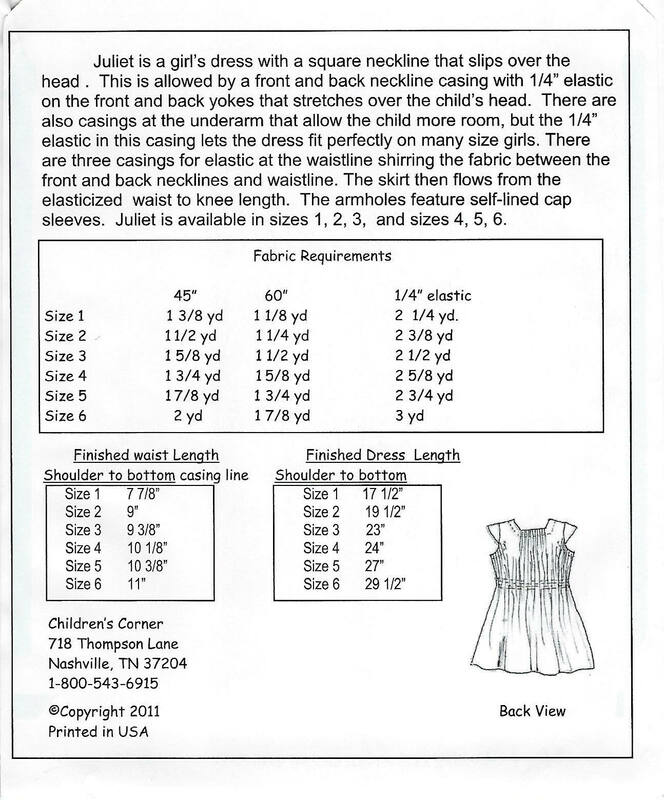 This is allowed by a front and back neckline casing with 1/4" elastic on the front and back yokes that stretches over the child's head. 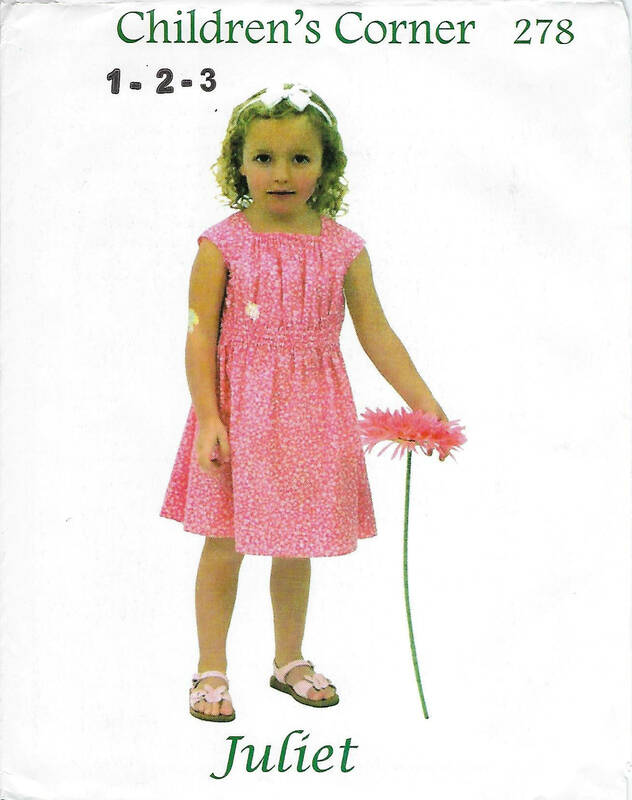 There are also casings at the underarm that allow the child more room, but the 1/4" elastic in this casing lets the dress fit perfectly on many size girls. 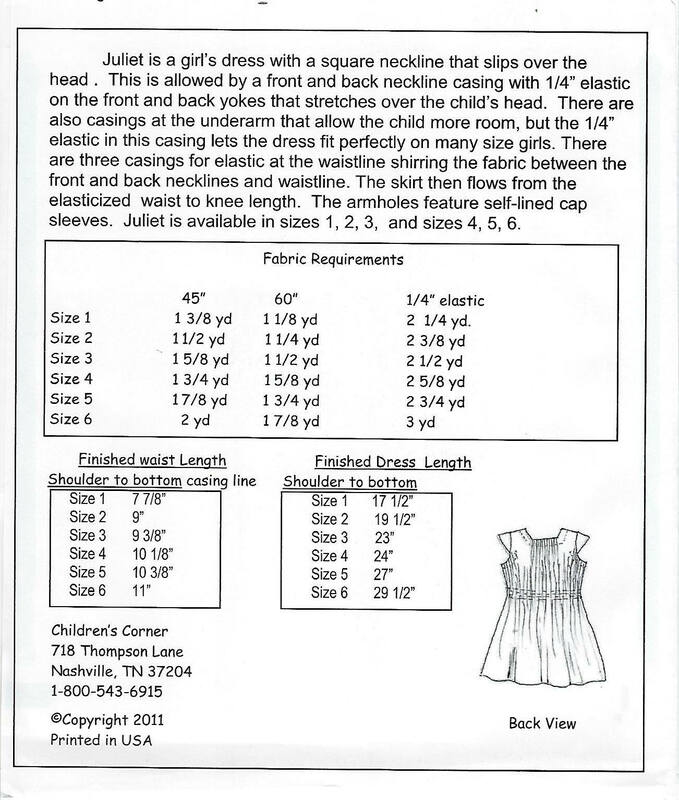 There are three casings for elastic at the waistine shirring the fabric between the front and back necklines and waistline. The skirt then flows from the elasticized waist to knee length. The armholes feature self-lined cap sleeves.